Selective Laser Sintering (SLS) is one the most widely used 3D printing technologies, with many OEMs and manufacturers using the technology to produce high-quality end parts and prototypes. To help you better navigate in the world of SLS 3D printers, we’ve compiled a list of six of the top SLS machines suitable for various manufacturing needs and budgets. Selective Laser Sintering (SLS) is a powder bed fusion 3D printing technology that uses a laser beam to selectively melt and fuse powdered material, typically nylon. SLS offers a range of benefits for industrial manufacturing — for example, the technology requires no support structures, and highly complex, durable and thermally resistant parts can be produced. However, due to the high temperatures involved in the printing process, printed parts are at risk of thermal distortions such as shrinkage and warping. SLS parts will also require some form of post-processing to achieve a better surface finish. Today, there is a wide choice of SLS AM systems that provide benchtop and industrial-floor options. Most of these systems use Polyamide (PA) powdered material, although composite polyamide powders reinforced with materials like carbon fibre, aluminium and glass are also possible. The Sinterit Lisa is one of the most affordable benchtop SLS 3D printers on the market today. First released by Polish manufacturer Sinterit in 2014, the Sinterit Lisa features a medium build volume of 150 x 200 x 150 mm and layer thickness of up to 75 microns. This machine costs around $6000, offering a budget-friendly option for small businesses. The Sinterit Lisa supports Polyamide 12 for durable and rigid applications and flexible Flexa Black material. The company also offers an additional package for an extra $2,300, namely sand blaster, 4 kg of powder, and a set of useful accessories. Formlabs was one of the first companies to launch a desktop SLA 3D printer back in 2012. Now, the company has jumped at the opportunity to provide wider access to SLS technology, having released its bench-top Fuse 1 3D printer at the end of 2017. The Fuse 1 features a minimum layer thickness of 0.1mm, with a decent build volume of 165 x 165 x 320 mm. 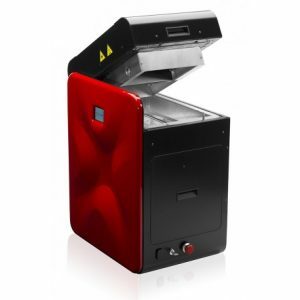 With a price point starting at $9,999, Fuse 1 is one of the cheapest SLS machines on the market. Formlabs is currently only shipping beta units of the Fuse 1, with non-beta versions expected to ship later this year. For now, Nylon PA 12 is the only available material for Fuse 1, with PA 11 and other materials under development. The ProX SLS 6100 is an industrial-grade 3D printer from 3D Systems. The ProX SLS 6100 has a large build capacity of 381 x 330 x 460 mm and a layer thickness of 0.08mm. The machine features a fully automated powder recycling and handling system. With regards to materials, the system is compatible with PA 11, PA 12 and reinforced materials suitable for functional prototyping and end parts, for example, complex ducting, housing, machinery parts, and even aircraft interior components. 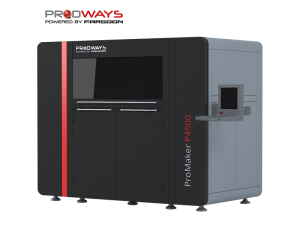 Developed by French manufacturer Prodways, the ProMaker P4500 HT industrial 3D printer is the latest in the P4500 line. 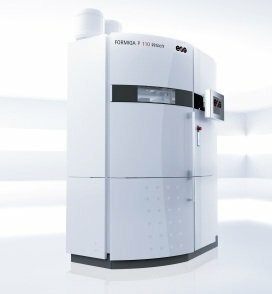 Compared to the ProX SLS 6100 from 3D Systems, the ProMaker P4500 HT features a larger build volume (400 x 400 x 450 mm) and more diverse choice of production-grade materials, some of which are said to have medical and aerospace certifications. The ProMaker P4500 HT also boasts high-temperature capabilities, able to operate at temperatures of up to 220°C producing high-performance final parts for various industries. The FORMIGA P 110 features a build volume of 200 x 250 x 330 mm and can be used to cost-effectively produce high-quality nylon parts. The machine supports a wide range of recyclable nylon materials suitable for prototypes and parts with highly complex geometries. Interestingly, EOS, one of the leading 3D printer manufacturers, has recently launched a new version of the machine — the FORMIGA P 110 Velocis, which is said to be up to 20% faster and capable of producing parts with a high surface finish. Materials: PA 11 (white, black), PA 12 (white, FDA certified), aluminium- and glass bead filled nylons, Polystyrene powder, Polyether amide powder. 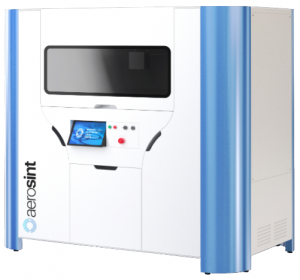 Lastly, although still in the prototyping stage, the Aerosint Multi-Powder SLS 3D printer may have the potential to transform SLS technology. Belgian start-up Aerosint claims to have achieved multi-material SLS with its patent-pending selective powder deposition technology. Aerosint Multi-material SLS 3D printing is possible thanks to multiple patterning drums, which selectively deposit different powders at a specific time. The machine is said to be compatible with a range of polymers, ceramics, PEEK and metals. Although no further information about price and build volumes is currently available, this 3D printer will certainly be one to keep an eye on. How is 3D Printing Transforming the Defence Industry?